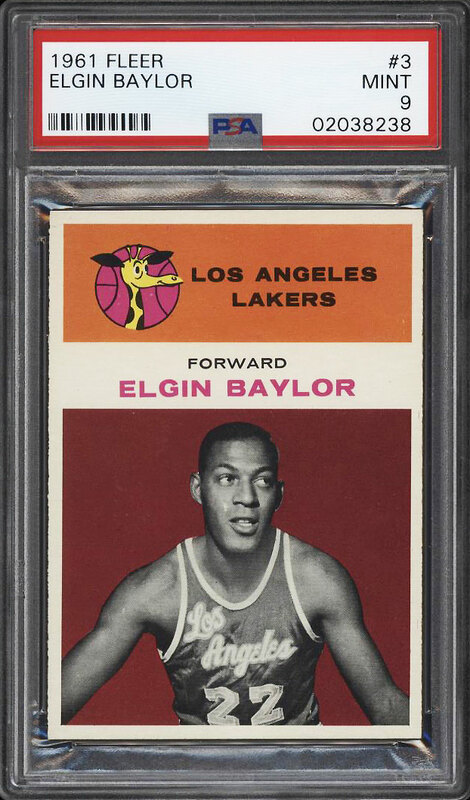 Absolutely stunning Elgin Baylor rookie up for auction this month. 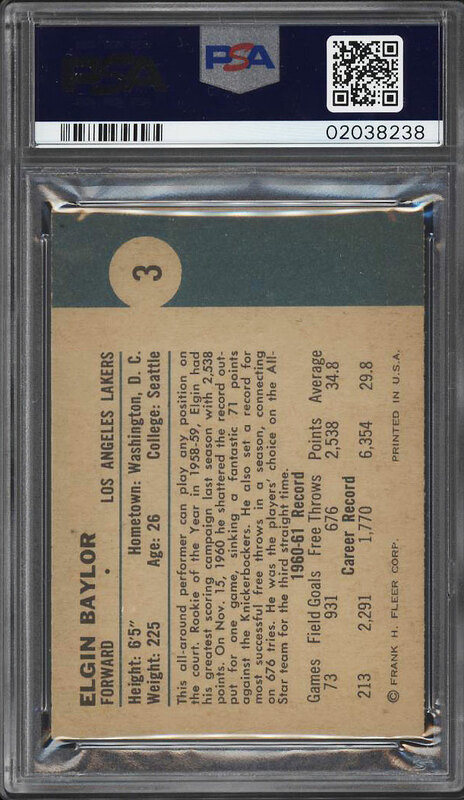 This high-grade rookie card of the Los Angeles Laker great easily ranks among the best copies in the hobby with only nine having reached the illustrious designation. In addition to the four pin-point sharp corners, the card is beautifully centered and boasts undeniable MINT card stock. The surfaces are virtually immaculate with tremendous gloss and zero scuffs or scratches present. Retains rich color with flawless registration to boot. Baylor was rookie of the year during the '58-59 season as well as set the one game scoring record with 71 points against the Knicks on November 15, 1960. This is a wonderful investment card with an ultra high-demand and exceedingly limited supply. Comes highly recommended by PWCC. 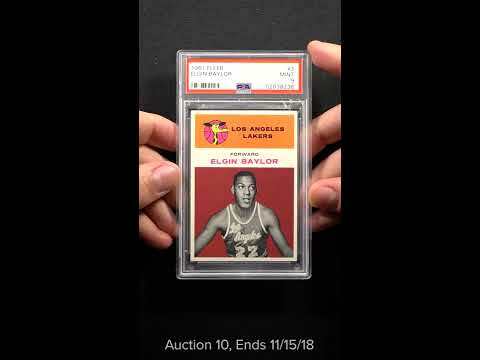 One of over 16,000 cards, lots and sets up for bid in our 10th Auction of 2018. Click on the link above to view the other PWCC auction lots.